Review: Here's yet another rare '80s compilation with even more deep cuts than the last. Where do they find them all? Heavenly Sweetness clearly know but they ain't telling! 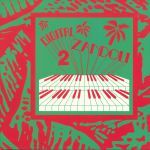 They are showing though, and here on Digital Zandoli they reveal 12 newly discovered disco, boogie and zouk tracks recorded about 30 years ago in the West Indies. We're clearly spoilt for choice on this record, but highlights include the synthetic sea breeze grooves of Puzzle Pulsion's "Mwoin Ka Songe", the mellow Afro grooves of Zanman's "Poutchi" and the abstract body music via a sandy beach vibes of OR EA's "Biguine Inferno". Review: Ahhh, bien sur! 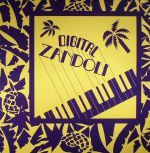 Julien Achard and Nicholas Skliris return to Heavenly Sweetness to provide our shelves with the second chapter of the Digital Zandoli series, a wonderful dynasty of contemporary dance music from every corner of the world. Much like the first edition, which flew off our floors in absolutely no time, you'll be lucky to find this music anywhere else but righ here - these two work hard to dig out the very best of what the rest of the globe has to offer. More to the point, you'll find it even harder to find dance music as lush and tropical as this gear, a bubby assortment of dance tracks ranging from house to soul and dancehall. Bliss. Review: An intriguing confection put together by two Antipodean crate-diggers with an ear for the eccentricities and heroic creative travails of a generation of yore, 'Midnight Spares' chronicles a predominantly '80s era in which bedroom musicians took a post-punk DIY sensibility to create work that still rings out with originality and ingenuity decades on. Collected from manifold unusual sources, this compendium takes in early synth-pop, menacing lo-fi soundtrack work, a stray emigre member of The Flying Pickets, and even an early foray into recording from the members of legendary Ozpunk scamps God. 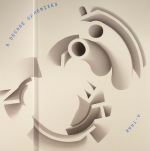 Lurking somewhere between the spirit of John Peel and the world of outsider art, the resulting assemblage is a must-have for chroniclers of the weird and wonderful. Review: Parisian oddball house legend Ark teams up again with fellow local and Prospector head honcho Pit Spector to inaugurate Ark Records. A longtime in the making no doubt but worth the wait. Love Supreme LP as the title suggests is a tribute to the legendary John Coltrane and the pair have drafted a who's who of deep house and minimal to lend some hands and ears. Highlights include The Mole's "Molemix"; a sublime serving on reductionist bounce, Frankfurt genius Lo Soul who is as brilliant as ever on the sublime and hypnotic "It's All In There Mix" and Ark himself with his "Free Mix" which is as dusted down and as funked up as we all like it! Review: Icelandic classical, experimental and soundtrack composer Olafur Arnalds steps away from the loops and Broadchurch OSTs to conjure yet another sublime LNT saga. Carefully balancing between contemporary odysseys ("Jomsvikingarimur"), dense futuristic electronic weaves ("Last Remnants"), fuzzy 22nd century pop ("A Noise") sludgy cosmic funk ("Jasmine") and introspective soul ("Our Love Comes Back"), Olafur blows wave after woozy wave of soft sonic conjurations in a way that's broad, detailed and cleverly considered. Good night. In Aeternam Vale - "Soundscape I"
Planetary Assault Systems - "Dungeon"
Artefakt - "The Fifth Planet"
IORI/Rote - "Maya/Look In Your Eyes"
Daniel Avery - "Space Echo"
Review: Since its release in 1997, David Lynch's neo-noir-horror, Lost Highway, has become something of a cult classic. The accompanying soundtrack album, here reissued on weighty double vinyl, is similarly revered in some circles. Put together by Nine Inch Nails' frontman Trent Reznor, composer Angelo Badalamenti, and punk-turned-producer Barry Adamson, it's a mish-mash of darkly intense songs (Bowie, Smashing Pumpkins, Lou Reed and Rammstein all contribute), and the kind of creepy, other-worldly soundscapes that have always been a feature of Lynch's work. It's arguably the latter tracks, composed by Badalementi and Adamson, which remain creepily potent all these years on. Review: Melbourne imprint A Colorful Storm here compile a collection of obscure indie pop gems, mainly from the Australian band the Cat's Miaow and their associated projects. Formed in 1992, the quartet was comprised of members of 'the incestuous Melbourne music scene' - vocalist Kerrie Bolton (formerly of the Beat Poets and Tra La La), guitarist Bart Cummings (from Blairmailer and Girl of the World), bassist Andrew Withycombe (also of Blairmailer, as well as the Ampersands) and drummer Cameron Smith (ex-Girl of the World). Over the years, the band issued a series of cassettes recorded on four-track with local indie label Toytown. Featured here are works by the band and their various side projects, not limited to their experimental offshoot Hydroplane, Bart & Friends and The Shapiros. Also included are tracks by now defunct Sydney outfits Even As We Speak (who recently reformed for a release on Emotional Response) and Pearly Gatecrashers. Review: Three years on from the release of his last Private Collection compilation, British jazz survivor Kev Beadle returns with a third selection of little-known "independent jazz" from the 1970s and '80s. As usual, it's a pleasingly varied affair with a clear dancefloor focus. Beadle, a man with an enviable record collection, variously showcases South American jazz-funk fusion (see Banda Metalurgia's fantastic "La Em Guayaquil" and Francisco Mara Catlett's thrillingly upbeat, "Brazilian Love Affair" style smasher "Samba De Amor"), Nat King Cole style smoothness (the Leon Thomas voiced "Little Sunflower" by Louis Hayes Group), dazzlingly positive extended workouts (Clarice Lebbe and Charlie Hampton), heavy percussion jams (Finn Savery Trio) and confirmed jazz-dance classics (the soul-jazz stomp of Webster Lewis). Moses Sumney - "Title Of This Song"
Fun - "Pleae Leave A Light On When You Go"
Tweedy - "The Wolf Is On The Hill"
Norah Jones - "Just Noise"
Lord Huron - "Last Night You Were A Dream"
Bob Forrest - "Saint Dude"
Jack White - "I'm Down"
Juanes - "Don't Act Like Your Heart Isn't Hard"
Jarvis Cocker - "Eyes That Say "I Love You""
David Johansen - "Rough On Rats"
Jason Isbell - "Now That Your Dollar Bills Have Sprouted Wings"
Marc Ribot - "The Last Polka"
Eleanor Friedberger - "Old Shangai"
Sparks - "Why Did You Make Me Care?" Swamp Dogg - "America, Here's My Boy"
Jack Black - "We All Wear Cloaks"
Loudon Wainwright III - "Do We? We Do"
Gabriel Kahane & YMusic - "Mutilation Rag"
Dustin O'Halloran - "An Ending A Beginning"
Darondo - "Didn't I ?" Menehan Street Band - "The Traitor"
Romare - "Down The Line (It Takes A Number)"
Matthew Bourne - "VIII Juliette"
Matthew Halsall - "Sailing Out To Sea"
Dorothy Ashby - "Essence Of Sapphire"
Peter & Kerry - "One Thing"
Bill Evans - "Peace Piece"
Review: Given his impeccable downtempo credentials, you'd expect Bonobo's Late Night Tales mix to be one of the finer installments in the series (and that's saying something). Predictably, it is. Sweet, sensual and atmospheric, with plenty of unlikely gems and forgotten classics for the heads to enjoy, it surprises and impresses with each successive track. 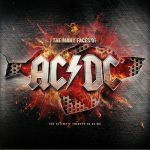 This vinyl edition features 17 of the tracks unmixed (naturally) and lifts out many highlights. His own cover of Donovan's "Get Thy Bearings" is particularly revelatory - string drenched, hazy, atmospheric and, of course, immaculately produced - but there are many other gems. Check Darondo's classic heart breaker "Didn't I," the smoky reggae-soul of Nina Simone's "Baltimore", and the enveloping intimacy of Shlohmo's "Places". Do seek out Benny Cumberbatch's spoken word turn at the end too! (mp3 download code for the full release included). Review: For their first foray into the mix market following the conclusion of their original, 100-volume series, London superclub Fabric has decided to offer up a rare DJ mix from genre-defying producer Simon Green AKA Bonobo. It's his first mix of any sort since 2013 and it is really rather good. Beautiful, picturesque, melodious and fluid, the mix not only includes heaps of previously unheard material from the man himself, but also touches on a dizzying number of styles (most notably ambient, loved-up deep house, African and South American drum music, IDM, electronica, techno, electro-soul, broken beat and dreamy breaks). That it all hangs together brilliantly is testament to Green's impeccable DJing and production skills. The Gino Fontaine - "Revnorev"
Salsoul Invention - "Soul Machine"
Day Outside - "Faraway Sensation"
Crowdpleaser & St Plomb - "Not Yet Not Yet"
The Grid & Robert Fripp - "A Cabala Sky"
Daniele Patucchi - "People Come In"
Detachments - "The Flowers That Fel"
Review: The first installment of Late Night Tales' After Dark was that rarest of things: a DJ mix that retained a smoky sense of early morning, home listening atmosphere while retaining an open-minded focus on the dancefloor. This follow-up - once again compiled and mixed by Bill Brewster - offers more of the same. Musically it's pleasingly varied, moving from the string-drenched downtempo beauty of Typesun's "Last One Home", to the heady Balearic rock of General Lee, via Justus Kohnke, the soulful post-bruk smoothness of As One, and the sprightly analogue electronics of Emperor Machine's remix of Paqua's "Late Train". There's also a bunch of previously unreleased tunes to enjoy, including killer contributions from the Mang Dynasty (AKA Ray Mang), The Gino Fontaine (Chicken Lips man Andrew Meecham) and - most surprising of all - The Grid and Robert Fripp. Review: As part of their 20th anniversary celebrations, Strut has decided to bring back the compilation series that first put the label on the map: "Nigeria 70". Curated by Duncan Brooker, this latest volume in the series is the first for eight years. It's another history lesson, with Brooker largely focusing on exposing the musical links between the music of Nigeria and Benin. You get a white-hot mixture of Highlife, Afro-Funk and Ju-Ju, mostly hand-picked from albums and singles that are near impossible for mere mortals to find. Interestingly, this edition doesn't just contain heavy cuts from the '70s, but also more synth-powered songs from the 1980s, too. As you'd expect, it makes for terrific listening. Review: The unstoppable Get On Down label doesn't like to discriminate between genres, and through the years they've put out a wide breadth of material from hip-hop, soul and funk artists alike. What we have here is the marvellous fourth instalment of the Get On Down With James Brown series, live at the mythical Apollo, and that means a fully-loaded James Brown experience alongside other big-hitters such as The JB's, Lyn Collins and Bobby Bird. You know the score, this is the hit you need. Get Upp-ah! Review: Australian labels Butter Sessions and Noise In My Head team up to deliver a compilation of tracks from artists you may not know...yet. Recognisable artists include Lobster Theremin heavy Daze who drops in with a dirty, overblown house jam (think Delroy Edwards) while the Mic Mills duo turns up with the lo-fi, broken beat tropicana of "Nostory". Albrecht La'Brooy's opener is a compilation highlight while Lo Flung provides a cut which feels like a combination between Felix K and Latency. Lucy Cliche get Hi NRG with a splash of EBM and industrial on "Other World" and there's some classic house coming at you direct from Ben Keynes. A lot to be discovered here and the aesthetic is as fresh as the names delivering it. Next online in 11 hrs 36 mins.